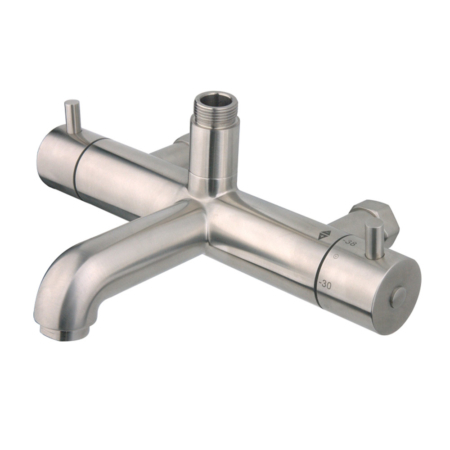 This anti scald shower valve is a adjusting thermostatic mixing valve. 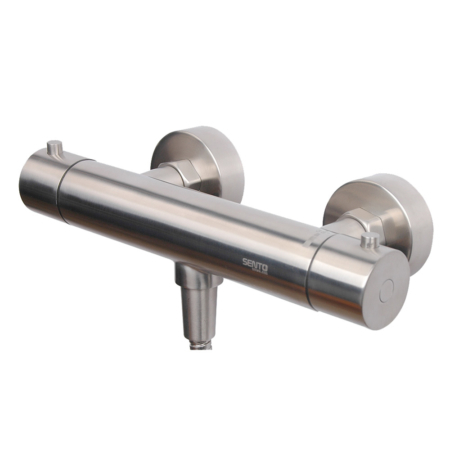 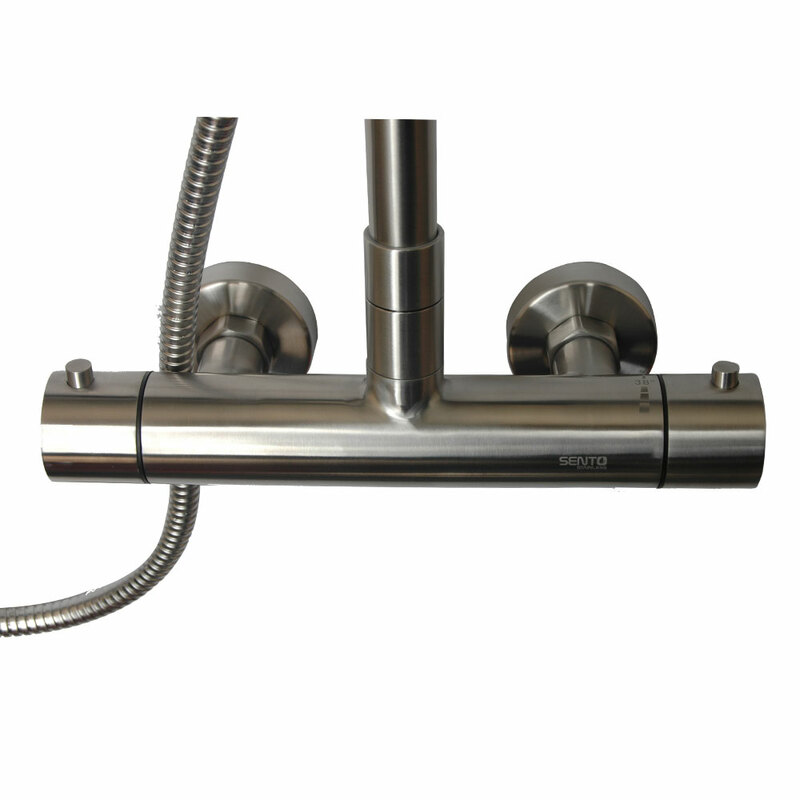 The version here is brushed stainless steel anti scald valve safety shower. 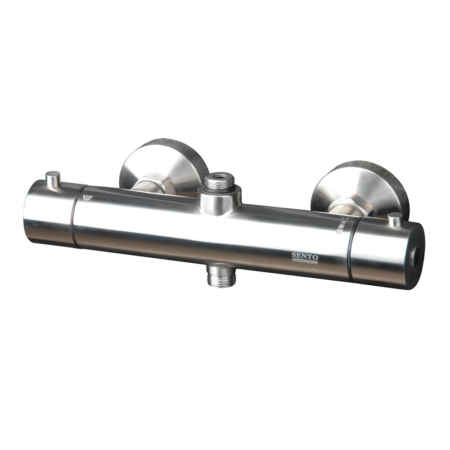 it is incorporative of a thermostatic control valve and a featuring ceramic disc technology. 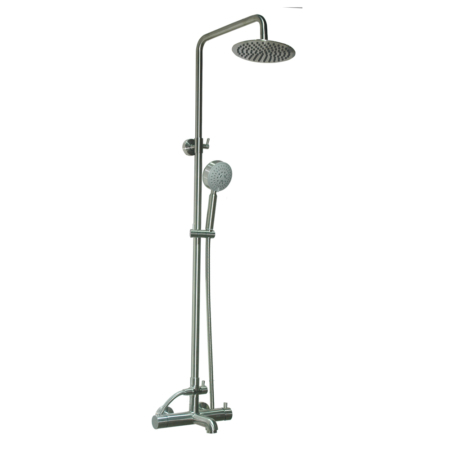 it supply water at a pre-set maximum temperature to two outlets by a thermostatic diverter valve on shower slide bar.